This entry was posted on February 26, 2011 at 7:02 pm and is filed under Today's Special. You can follow any responses to this entry through the RSS 2.0 feed. You can leave a response, or trackback from your own site. 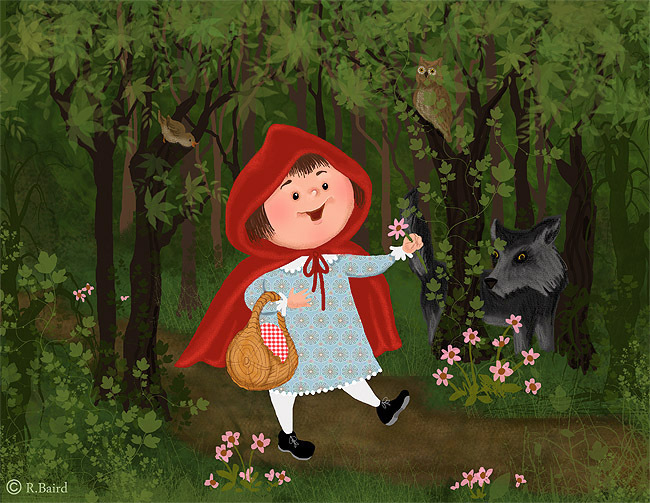 The wee red riding hood! She’s a cutie, Roberta! Love how she pops off the background and the lurking wolf. Full of fairy tale goodness! Such a cute character! I love the forest and the leaves! I love your little girl. Precious expression.